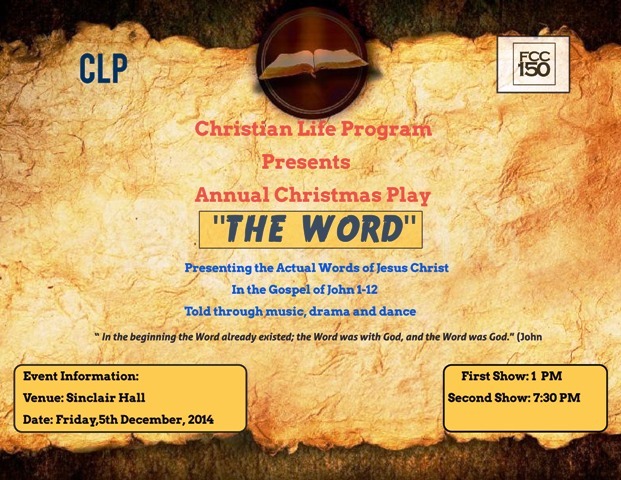 The Christian Life Program invites you to attend its Annual Christmas Play, ‘The Word’, to be held on 5 December 2014 in Sinclair Hall. The first show will be at 1:00 pm, while the second show will be at 7:30 pm. Families can also attend the second show. Free passes for students’ families are available from the Chapel Office.